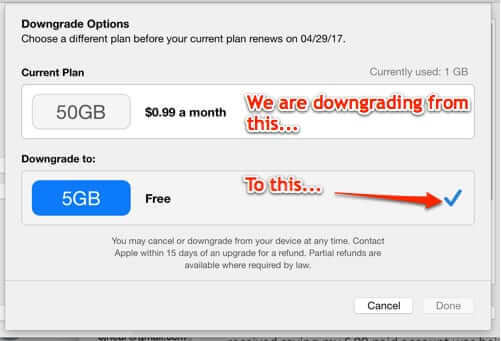 If you’ve tried to downgrade your iCloud account storage plan to a less expensive one, or the free one, you may be wondering just how to downgrade your iCloud plan and have it actually stick. And the reason you’re wondering this is because no matter what you do when you to switch iCloud plans, it still shows you as having the previous plan – the one you are trying to cancel. Here’s how to successfully cancel or downgrade your iCloud storage options. There has been a rash of fake notices this week, supposedly from Apple, warning that “Your Apple ID was used to sign in to FaceTime, iCloud, and iMessage on an iPhone 5”. Hopefully, if you received one of these, you were quickly able to realize that these fake Apple alerts were spam, but just in case you weren’t sure, we are confirming that for you.